BRING THE FAMILY. While enjoying safety, style, and performance. With features common to traditional vehicles, the E-Merge offers a superb sports car like ride for neighborhoods all over the world. Put some fun and excitement into your next neighborhood stroll…. with some segment leading safety features like front wheel brakes and rack & pinion steering thrown in. The Emerge E2 SE is a one of its kind 2-seater automotive that is fashionably designed as well as ruggedly built. 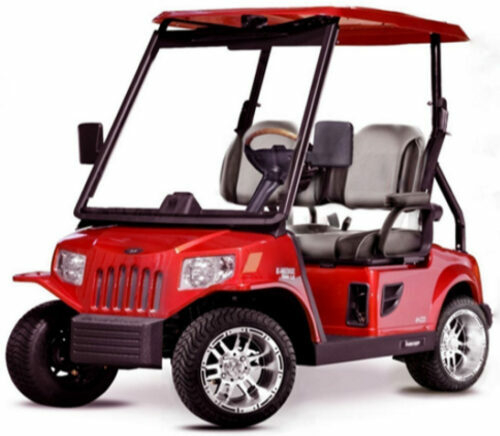 The car has a 17 HP AC drive and regenerative braking motor as well as a powerful 48V system that will make your ride a pleasurable experience. To add to that, the Emerge E2 SE comes with a plethora of accessories that are meant to cater to all of your automobile driving needs. 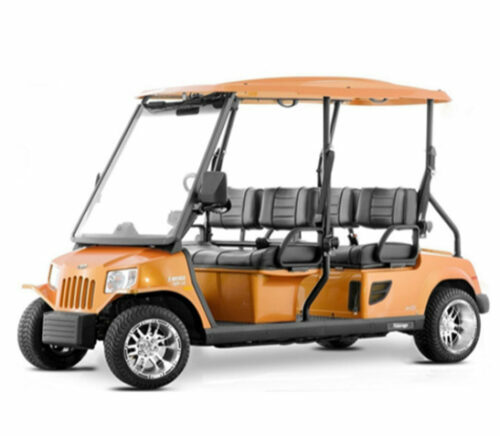 The Emerge E2 LE is a powerful yet trendy golf car that comes in vibrant colours and stylish interiors with high back seats as well as arm rests. The car has a mighty 17 HP AC motor as well as a 48V battery configuration that caters to all of your energy requirements. The easy manoeuvring and technologically advanced braking and suspension system make every ride in the Emerge E2 LE a fun and enjoyable experience. 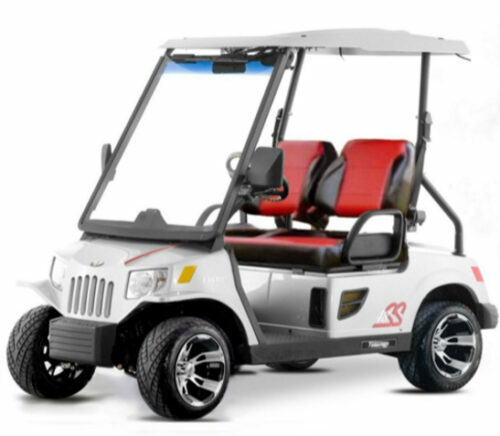 The Emerge E2 SS is a stylishly built 2-seater golf car that comes with customised dual-toned high back seating and an elegant e-coated tubular steel frame. Its rack and pinion steering, hydraulic braking system and the A-Arm front suspension add a fun element to your cruising experience. The Emerge E2 SS comes in trendy colours and with a fashionable as well as technologically advanced lighting system. 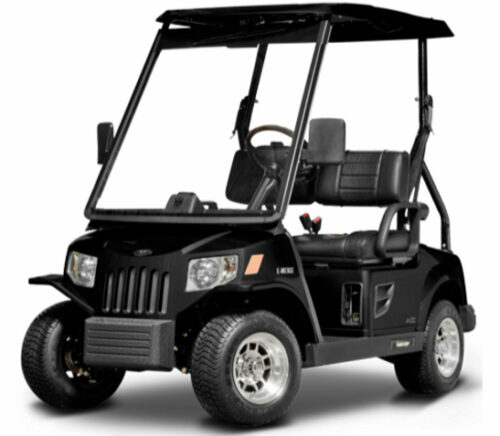 Finally, a powerful motor and electrical system together make it the complete vehicle.